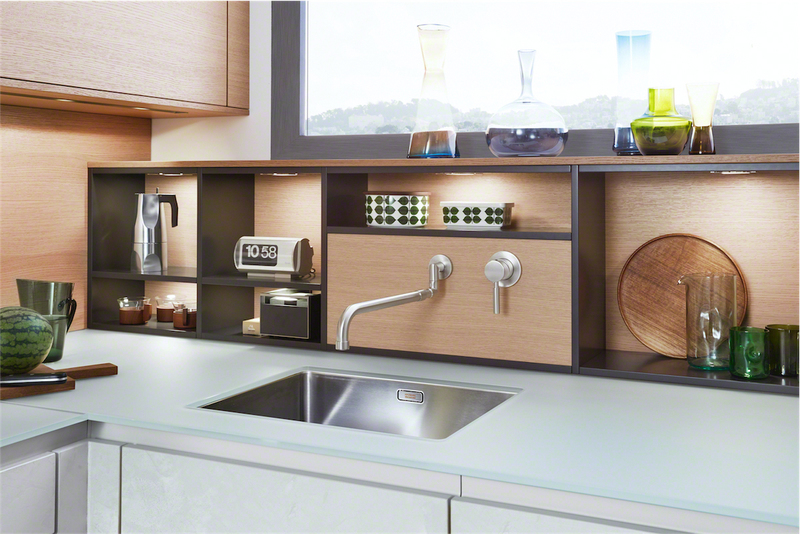 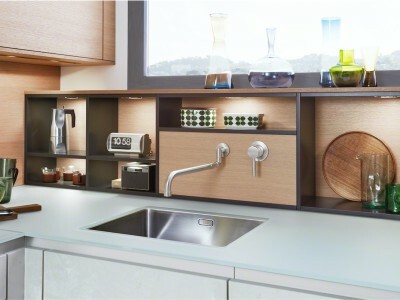 The new niche shelving is an extension module, 1.6 cm thick, which stands on the worktop. 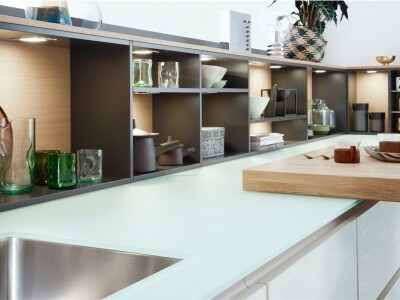 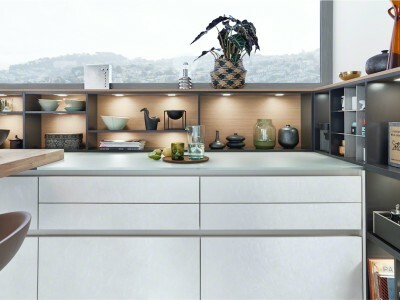 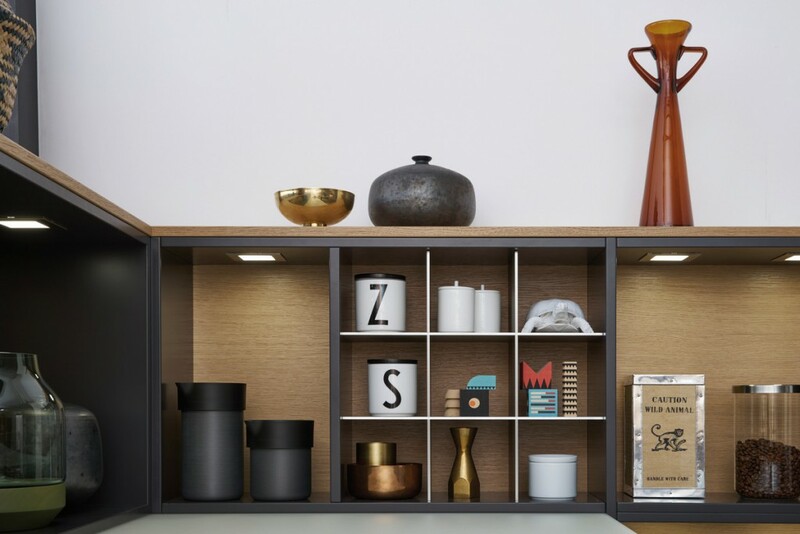 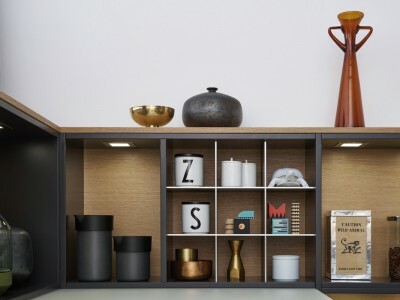 The basic unit is customised and given an individual touch with interspersed shelves and backs. 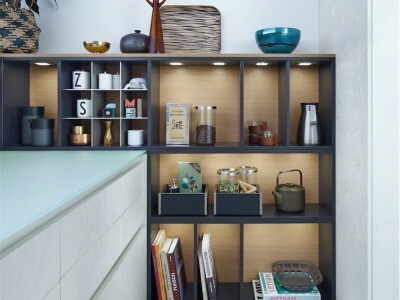 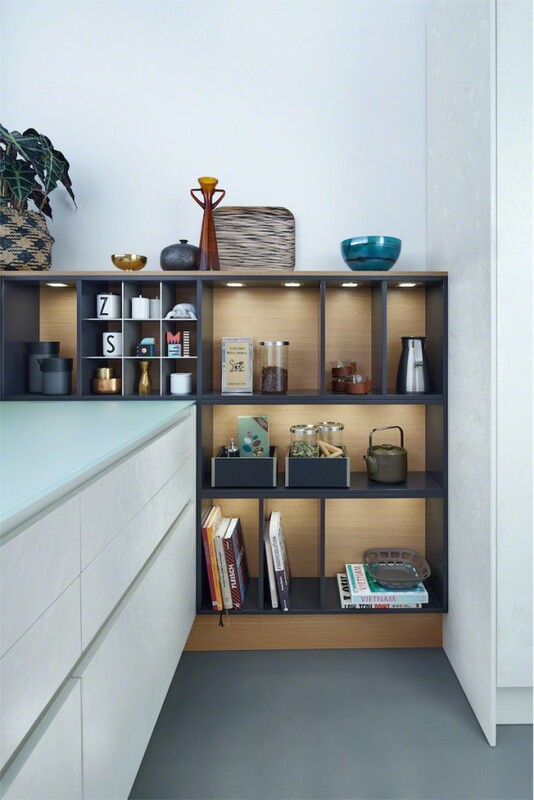 A 9-section divider made of criss-crossed aluminium is the perfect way of attractively further dividing the practical niche shelving. 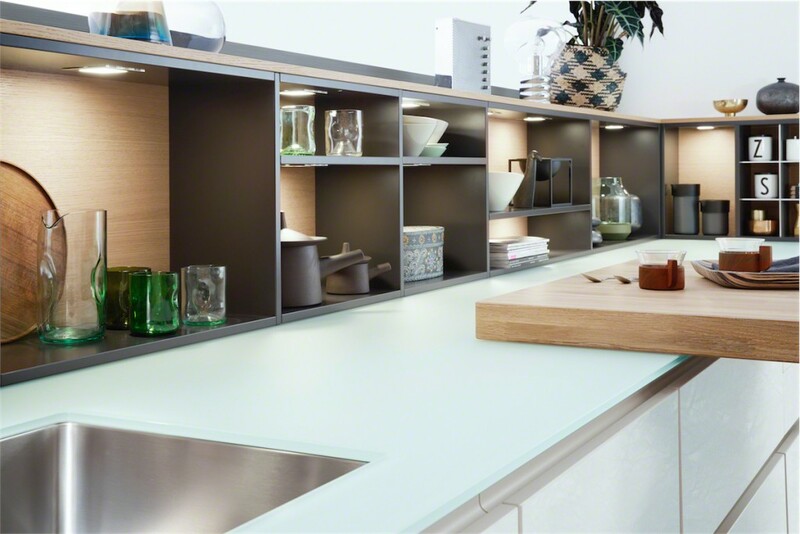 Available in, for example, melamine, wood and lacquer. 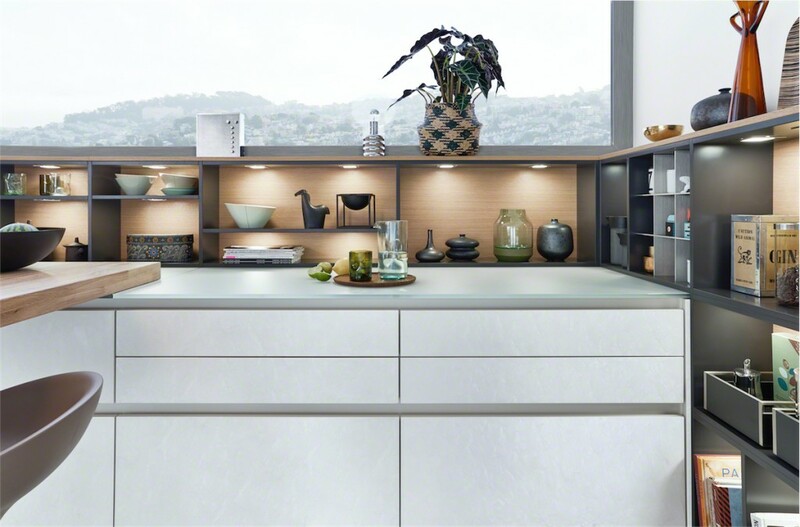 The flexible installation depth between 15 and 30 cm offers kitchen planners a number of design options for the niche area.